PLEASE READ THESE SERVICE TERMS & CONDITIONS IF YOU HAVE PURCHASED JUMPSTART OR ANY OTHER LOGITECH SERVICES FROM A RESELLER (“Reseller”), TO BE DELIVERED BY LOGITECH. BY PURCHASING OR USING THE SERVICE YOU AGREE TO BE BOUND BY AND ACCEPT THE TERMS AND CONDITIONS HEREIN (THE “TERMS”). THESE TERMS ARE AN AGREEMENT BETWEEN YOU (“CUSTOMER”, “YOU”) AND THE LOGITECH ENTITY LISTED BELOW IN SECTION 6 (f) (“LOGITECH”, “WE”). 1. Product Covered. Reference to “Product” in these Terms means the Logitech-branded hardware items, third party hardware items bundled therewith and related Microsoft software, that are sold as new, in a standard configuration at the time of purchase, that includes at a minimum the Logitech SmartDock device and/or any other Products listed in Schedule A (Product List). Non-Microsoft software or customized Microsoft software and other items not part of the bundled Product sold by the Reseller to Customer are excluded from the Terms. These Terms are valid for Products purchased in the United States only or in any other countries listed in Schedule B (Covered Countries). See Exclusions section below for more details. (iii) be responsive to the Customer’s service needs Monday through Friday from 09:00 AM to 09:00 PM Eastern Standard Time for North America region and 09:00 to 18:00 Central European Time, excluding local holidays (“Local Times”). It is the intent of these Terms that Logitech will provide a first contact response within one (1) business day. Logitech does not commit to resolution times as part of the service due to the complex nature and coordination efforts within a conferencing solution deployment. (iv) Customer may transfer the Terms to anyone who buys the Product during the applicable support period for the concerned service provided that Customer itself is the original purchaser and has notified Logitech in writing of such transfer with all required information (name and contact details of transferee, Logitech confirmation number and/or Product serial number) and that the support period shall not be extended from its original start date. Logitech may add additional features, make changes to the existing services or offer new types of services to its offering, by adding these to Schedule C as the case may be (List of Services). These Terms shall apply to the new services and to any changes to existing services. The type of service applicable to Customer will be recorded in its purchase order and/or email confirmation. (xi) outside of the Local Times for Products moved to a geographic location outside of the Covered Countries. c) Limitation of liability. LOGITECH’S LIABILITY ARISING OUT OF OR IN CONNECTION WITH THESE TERMS AND THE SERVICE SHALL BE LIMITED TO THE AMOUNT PAID BY THE CUSTOMER FOR THE SUPPORT PROVIDED HEREUNDER OR, IF NO AMOUNT WAS PAID, TO THE THEN CURRENT MANUFACTURER SUGGESTED RETAIL PRICE FOR THE SERVICE. IN NO EVENT SHALL LOGITECH HAVE ANY LIABILITY TO CUSTOMER OR TO ANY OTHER PERSON FOR ANY DAMAGES, INCLUDING WITHOUT LIMITATION, LOST PROFITS, LOSS OR CORRUPTION OF DATA OR COSTS OF PROCUREMENT OF SUBSTITUTE GOODS OR SERVICES, OR FOR ANY SPECIAL, INDIRECT, OR CONSEQUENTIAL DAMAGES ARISING OUT OF THESE TERMS , UNDER ANY THEORY OF LIABILITY, INCLUDING, WITHOUT LIMITATION, THOSE RESULTING FROM THE USE OF THE PRODUCT(S), OR THE FAILURE OF THE PRODUCT(S) TO PERFORM, THE USE OF THE SERVICE PROVIDED HEREUNDER OR FOR ANY OTHER REASON. a) Support Personnel. Customer shall designate a representative to be the Customer’s Single Point of Contact (SPOC) acting as first and focal point for all communications with Logitech during the incident management process. The SPOC shall have the authority to act on Customers’ behalf in matters regarding the service. Customer shall ensure that this person has all the necessary signing authority to approve milestones and deliverables. Customer shall notify Logitech of any change in this assignment. The SPOC shall gather all necessary information and details to classify the problem. The SPOC will open a support ticket via the available methods (web) to the dedicated specialists at Logitech support desk. The SPOC is in the Customer’s responsibility or in the responsibility of a third party commissioned by the Customer. In addition, Customer shall assign personnel who have the appropriate business and technical knowledge of the Product, the current environment or tools and the communication skills necessary to participate in the initializing of the services. b) Information; Collaboration. Customer shall provide information needed by Logitech to complete the service. Such information shall include at a minimum: (i) Customer’s contact information including name, email, phone number, (ii) Product information including Logitech confirmation number and/or serial number of the Product (device or box), (iii) incident description. The information will be provided in accordance with the project timeline agreed upon by both parties. Customer shall timely collaborate with Logitech and may be required to perform incident determination and resolution activities as requested by Logitech. In addition and without limitation, such collaboration also includes (iv) scheduling and confirming the commitment of Customer’s resources; (v) providing, within reasonable means, access to information, data systems, networks, decisions as planned; (vi) adhering to all of the specified hardware, network and software requirements as needed; (vii) maintaining full administration permissions of any and all applicable internal environments; (viii) providing communications, training and support to end users. FAILURE TO COMPLETE CUSTOMER INFORMATION OR COLLABORATION ACTIVITIES THAT ARE REQUIRED FOR THE DELIVERY OF THE JUMPSTART SERVICE ACCORDING TO THE AGREED UPON SCHEDULE MAY RESULT IN DELAYS NOT ATTRIBUTABLE TO LOGITECH. c) Software Licenses. All software, software services and subsequent releases provided to Customer or required to use the Product shall be subject to the terms and conditions of the license agreements that apply to the underlying software or to amended license terms included with the software releases. Customer is responsible for maintaining such licenses in good standing. It is Customer’s responsibIlity to decide whether to install every software release as they become available. However, Customer acknowledges that Logitech may require Customer to upgrade the software to address certain incidents. d) Data Backup. Customer is responsible for Customer’s software and data. Customer agrees to implement procedures necessary to safeguard the integrity and security of Customer’s software and data from unauthorized access and to reconstruct lost or altered files. e) Compliance with Laws; Export Requirements. Customer shall comply with all applicable laws and regulations. Customer acknowledges and agrees that it and Logitech are subject to regulation by US agencies and other governments, which prohibits export of the Products to certain countries. Customer warrants that it will not export, either directly or indirectly, any Products without first obtaining any and all government approvals. Failure to comply with the foregoing obligations may result in delay of service or termination of these Terms. 4. Hardware Replacement / RMA. In the event that Logitech identifies a hardware failure affecting a Logitech component, Logitech will, as part of the incident resolution, redirect Consumer to submit a Return Material Authorization (RMA) request with its reseller or if applicable submit an RMA request in Logitech’s RMA ticketing system for further validation. If the failure affects a third party, non Logitech branded component (e.g.Microsoft Surface Pro), Logitech will as part of the proposed resolution plan redirect Consumer to submit an RMA request directly with the said third party. The eligibility for RMA or any warranty claims will be validated by the competent instances and handled separately under the applicable RMA or warranty process. For the avoidance of doubt, the service according to these Terms does not include hardware repair or replacement and does not replace nor supplement any repair or replacement rights the Customers may otherwise have under the applicable Logitech or third party standard limited warranty. a) Term. These Terms and the support shall commence on the purchase date of the Product, continue for and automatically expire 90 (ninety) days thereafter. b) Claims of Confidentiality or Proprietary Rights. Customer agrees that any information or data disclosed or sent to Logitech, electronically, over the phone or otherwise, is not confidential or proprietary to Customer. c) Subcontracting to Third Party. Logitech reserves the right to assign or sub-contract these Terms and the service either in whole or in part to a third party designated by Logitech without notice to Customer. d) Modifications to the Terms. 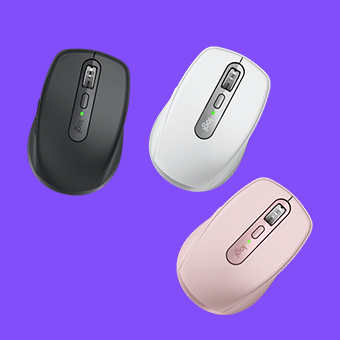 Logitech may change, modify, update, add or remove portions of these Terms at any time. Customer should check these Terms periodically for changes. Customer’s continued use of the services following the posting of any changes will signify acceptance of those changes. e) Warranty Exclusion. Logitech makes no warranty, either express or implied, but not limited to, any implied warranties of merchantability, fitness for a particular purpose. Logitech expressly disclaims any warranty. f) Logitech Contracting Entity. These Terms of Service are entered into by: (i) Logitech Inc. if Customer purchased the Product in North America and/or from a reseller established in North America; (ii) by Logitech Europe SA if Customer purchased the Product in EMEA (Europe Middle East Africa) and/or from a reseller established in EMEA. g) Governing Law; Jurisdiction. If Customer is in the U.S.A., these Terms will be exclusively governed by and construed in accordance with the laws of the United States and the State of California, without regard to or application of its choice of law rules or principles. If Customer resides outside the U.S.A., these Terms will be exclusively governed by the laws of Switzerland. h) Invalidity. If any portion of these Terms is held invalid, the parties agree that such invalidity will not affect the validity of the remaining portions, and the parties shall seek in good faith to agree to substitute for invalid provisions with a valid provision that most closely approximates the economic effect and intent of the invalid provision. Logitech revised these Terms on September 18, 2018.